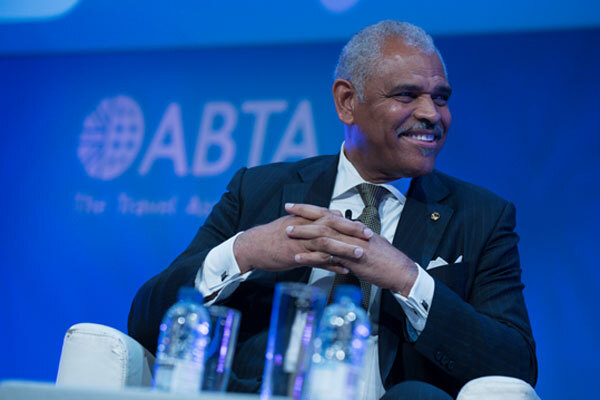 Abta Travel Convention delegates were urged to help debunk myths about cruising in a direct plea from the stage by Carnival Corporation chief Arnold Donald. Agents must help counter popular misconceptions that ship-based holidays are just for old people or youngsters who only go on board to get drunk. Donald, president and chief executive of the US-based owner of brands such as P&O Cruises and Cunard, told delegates: “Getting your clients on the right ship is critically important to us. He described every market as being under penetrated by the cruise industry due to the myths surrounding holidays at sea, with the UK only slightly less so as an island nation. “Our responsibility is to debunk those myths,” he told the audience on the first day of the convention in Ponta Delgada in the Azores. Admitting that this was a challenge, Donald outlined how various cruise brands appeal to different people, from social fun on Carnival Cruise Line to classic, more formal cruising with Cunard and the all-British experience of P&O Cruises. Using the example of mobile phones tailored to individual users, Donald said customisation was the future for cruise. People taking cruises also have a propensity to spend, which he illustrated by saying that in the corporation’s 45 year history on board spend had only dipped in one year. Donald described cruise passengers as being a “big economic multiplier” to destinations and pledged to work with locals in places where they feel overwhelmed by tourists – even if cruise lines are not responsible. In answer to an agent’s question about the disposal of P&O Cruises’ smaller ship Adonia and disappointed passengers due to cancelled cruises next year, Donald responded by saying the company had received “an offer we couldn’t refuse” for the vessel. He pledged that the British line would continue to provide experiences for those preferring smaller scale ships and the company would take care of passengers affected by the sale of Adonia. The ship leaves the fleet next spring having been acquired for Royal Caribbean Cruises brand Azamara Club Cruises.